The persistent defiance of the Nigerian government to accord respect to the sovereignty of the United States of America and Israel, calls for concern. State-sponsored instigations for the burning of the flags of these two nations call for stern and commensurate American government's foreign policy response to the rascality of Nigeria. The overt and covert actions of supervision of brazenly setting ablaze the national flags of these nations by the Islamic government of Nigeria, tantamount to mockery and arrant disdain against International laws protecting the sovereignty of nations. Nigeria as a country, enjoys diplomatic relations with these affected nations but it is disheartening to state here that the United States of America as a country and her government have consistently come under vicious attacks since President Donald Trump assumed leadership against the wish for Hillary Clinton with whom the Nigerian government had enjoyed some measures of Islamic goodwill for the American nation. On the 20th of January 2017, that very eventful day that ushered in the inauguration of Mr. Donald Trump as the 45th President of the United States of America, the Indigenous People of Biafra (IPOB), from within Biafraland, massively converged in Port Harcourt, Rivers State, to show solidarity. This is in line in keeping with the identification of the civilised democracies anywhere in the world. The solidarity rally was to drum up support for the incoming administration of President Trump particularly and to also celebrate a successful transition of governments between the two personalities. Prior to the scheduled date of the peaceful rally, the leadership of the Indigenous People of Biafra (IPOB) worldwide, duly notified the occupational government of Nigeria through a written document dated 18th January 2017. But with his disdain for President Donald Trump and all that he stands for, President Muhammadu Buhari ordered the Nigerian armed forces to repressively clampdown on the Biafran people even as the rally peacefully progressed with massive turn out of participants. A detachment of battle-ready army and police officers invaded the arena with lethal weapons beating, arresting, maiming, injuring and killing hundreds of people including men, women and youths, out of whom many are still being held extra-judicially in prison custody at Elele Prisons, Rivers State, till date. These same security operatives were on Friday 8th of June 2018, spotted shamelessly providing maximum protection to the violent Islamic protesters in Abuja. They were there supervising the bizarre burning of the US and Israeli flags that were hoisted in salient locations in Abuja, Nigeria's capital city. The Nigerian government has repeatedly insulted the sensitivity of both the US and Israeli governments principally based on the fact no definitive pronouncements have yet been made by them in the Biafra restoration question. If the Nigerian government will continually disrespect the sovereignty of Israel through it's calls for the independence of Palestine from Israel, it then becomes reasonably justifiable for the nation of Israel to initiate moves for the independence of Biafra from Nigeria. Nigeria has severally disrespected the United States of America. It therefore becomes necessary for the US government to counter this anomaly by courageously and diplomatically puncturing this disgusting rascality. This can be done through the carving out of the territories of Biafra from Nigeria with the same boldness President Trump handled the Jerusalem question as the eternal capital city of Israel. Nigeria with it's covert Islamic plots has no respect for International treaties and protocols, and therefore should not be allowed continued pleasure of any. 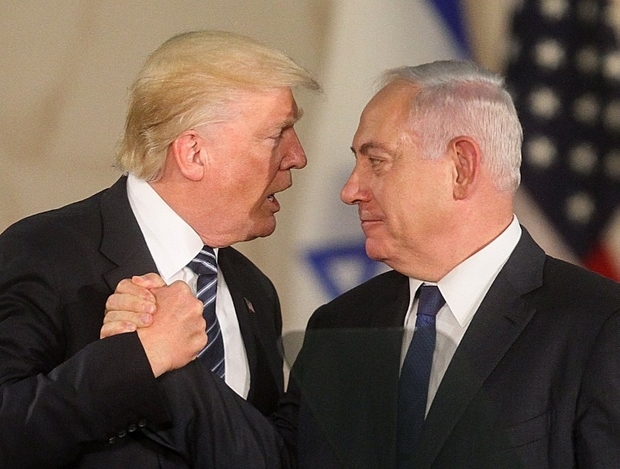 President Donald Trump of the United States of America and his Israeli counterpart, Prime Minister Benjamin Netanyaho should take advantage of this opportunity in human history, and do the needful.